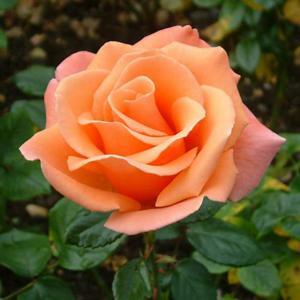 Hybrid tea bush rose with large flowers of soft orange with a salmon-pink flush. Large, glossy dark green leaves. Harkness rose resulting from Rosa 'Basildon Bond' x Rosa 'Silver Jubilee'.